Another big win for fashion — ModCloth has named their first LGBT model, and she’s fabulous. Her name is Rye Silverman, and she’s a writer and comedian who has an eye for “rockabilly” style. The company loves her so much that they even named a new dress after her! This is one great step forward among many that ModCloth has taken in the last year. In August, they signed an anti-Photoshop pledge, and in February of this year, they released a photo shoot which featured women of all sizes in swimsuits. Not to mention, the company has boasted all-inclusive sizing for over a year now. They brought on Rye Sliverman as part of their #fashiontruth campaign, which started back in September of last year, and seeks to highlight all types of women from the community. #Fashiontruth puts one model from the community in the spotlight each month to show what fashion means to them. 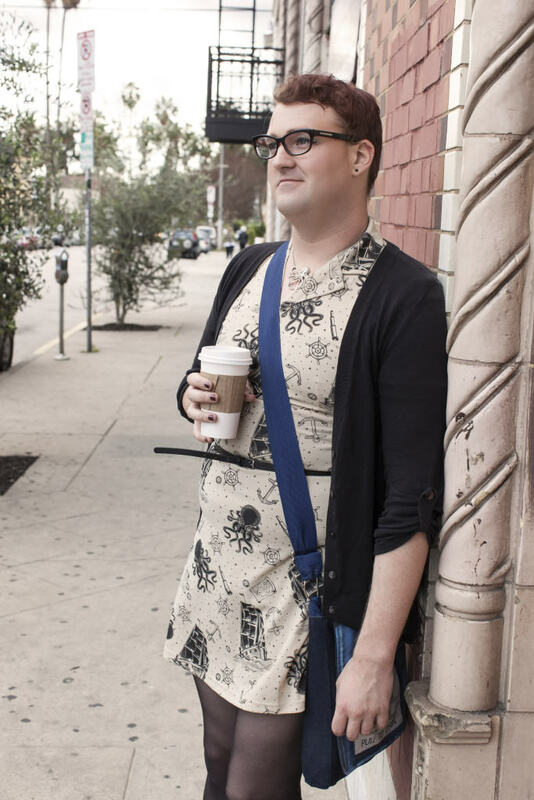 Rye Silverman is ModCloth’s star of April. 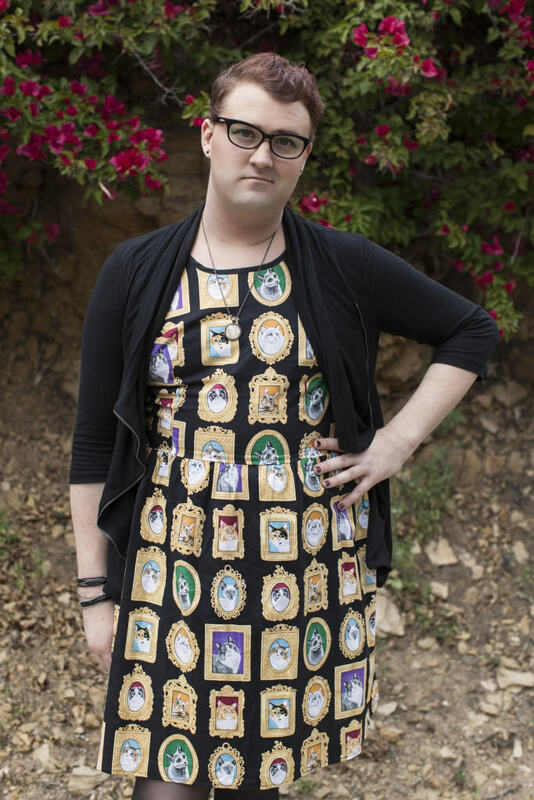 Silverman came on ModCloth’s radar by posting pictures of herself in new outfits on Style Gallery — an outlet of ModCloth where members of the community can share new purchases to inspire others. Rye was obsessed with the socially creative medium for sharing fashion ideas. Silverman’s bold style is not just apparent in her keen fashion sense. She took a fierce stance in her stand-up comedy career as well. 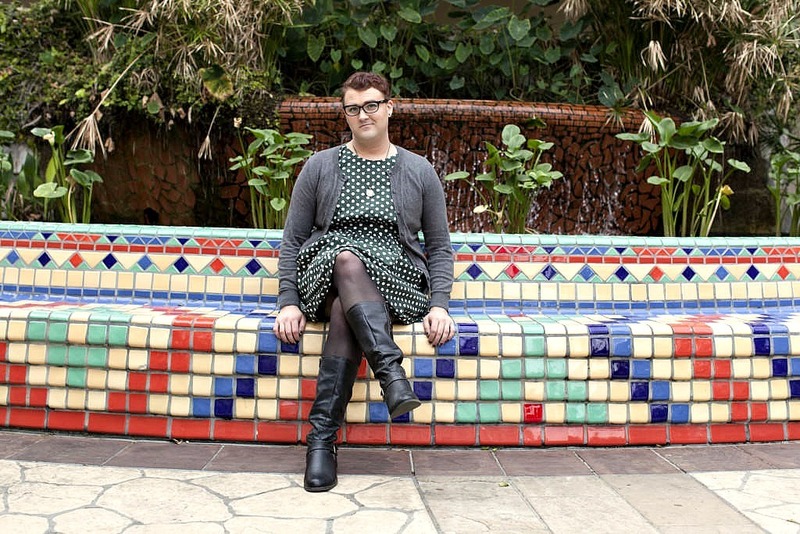 At age 27, she decided to come out as transgender to her audiences. It wasn’t easy, but she was tired of carrying the secret, especially in a medium where total honesty is sometimes the only way to find the funny. She told ModCloth, “My act had already started getting much more personal and honest and so coming out onstage seemed an obvious and necessary step. In general the audiences have been receptive, some occasional scary moments but overall I feel like if I can just get a few jokes out, I’ll be okay.” That’s probably the fiercest step I’ve heard someone take, except for maybe walking in 10-inch, patent leather platform boots. Along with being the company’s first transgender model, she’s also the first transgender woman to have a dress named after her. The company spent a while getting to know their new model’s style before creating a dress that fits her look to a T. Besides that rockabilly edge, Silverman loves circle skirts, and anything with a “quirky or edge twist of vintage.” Sounds like my kind of girl. 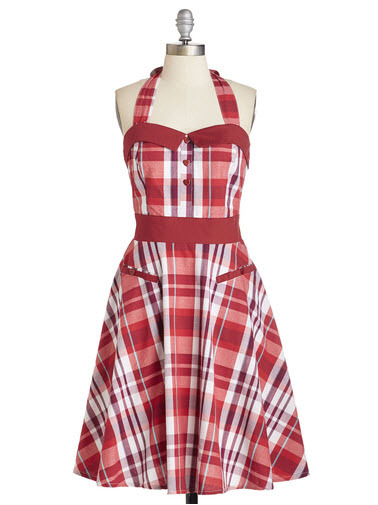 The dress is naturally called All About Rye and is a purple and red plaid halter dress with a full circle skirt, sweetheart neckline, slit pockets and heart buttons down the front. It goes for $100 and looks like it would pair nicely with a pair of vintage cowboy boots, which are always my go-to shoe for spring. Silverman loves ModCloth’s decision to embrace body positivity. She told BuzzFeed, “I think there has started to be this great sea change towards real bodies and authentic beauty and I hope to see that continue. I know I’m a bit of an extreme case but I still love the way we’re really moving towards letting people see that they’re beautiful.” Rock out, girl. I couldn’t have said it better myself.